Complementing the lens itself, the Canon RF 24-105mm f/4L IS USM Lens with Filters Kit from B&H bundles the standard zoom with 77mm UV and circular polarizer filters. 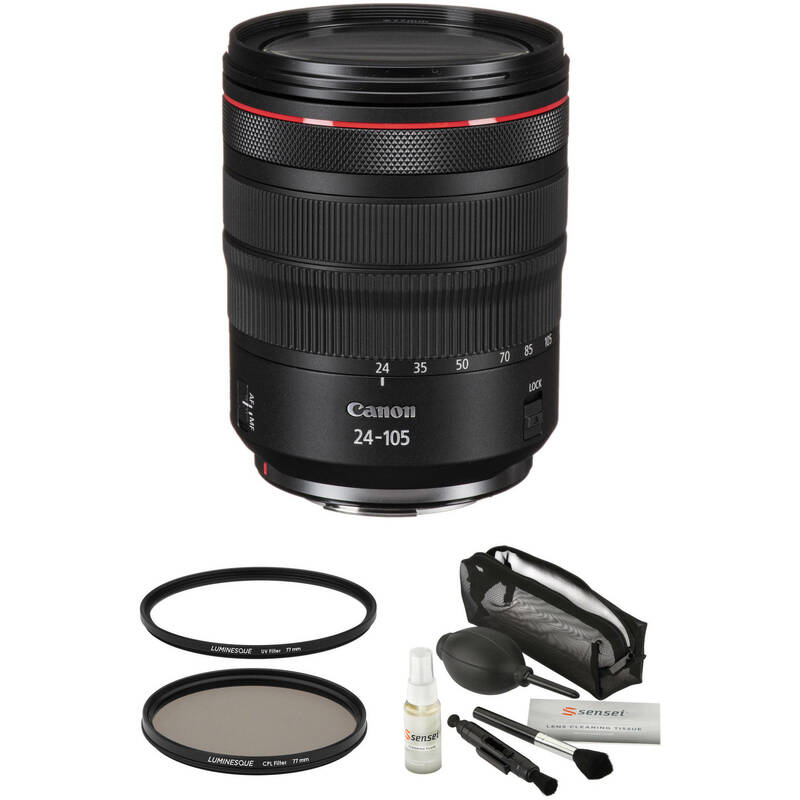 Box Dimensions (LxWxH) 9.4 x 5.5 x 5.4"
RF 24-105mm f/4L IS USM Lens with Filters Kit is rated 5.0 out of 5 by 1. Rated 5 out of 5 by Jon from Best ever I had the EF28-70 f2.8, EF24-105 f4, EF24-70 F2.8 and still have the EF24-70 f4. I just shot a wedding with the RF24-105 f4 and never changed the lens. Very sharp, dead on focus. Love it this one the best.